At K-Line Wholesale Fencing Supplier we offer an extensive range of wholesale options. 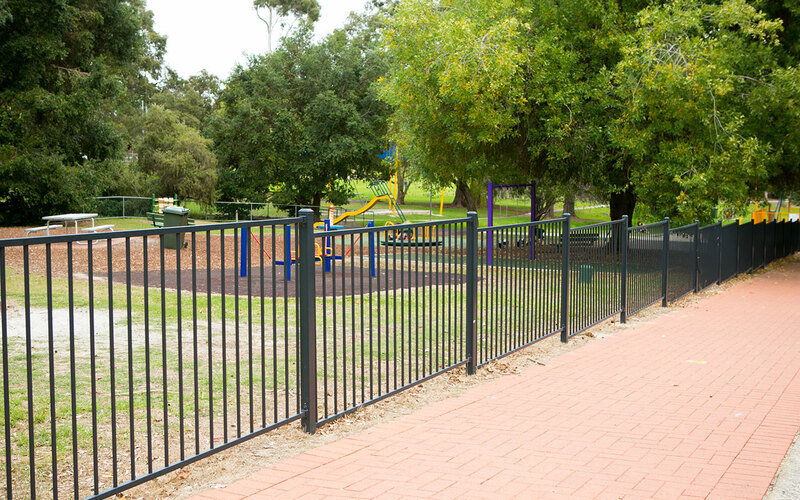 Tubular steel fencing is an incredibly popular choice for acting as a barrier or divider. It is also commonly used in areas where children are present, such as schools, playgrounds and parks. Another widespread use for tubular steel fencing is to provide protection for pedestrians in areas near roads or car parks. With such a wide variety of applications, it is a natural choice for many different projects. We stock large quantities of black flat top tubular fencing, so there is never any delay on you starting your client’s projects. Buy your tubular fencing products wholesale through us today.